← FableCroft News, Events and Giveaways! IN YOUR FACE is successfully launched! 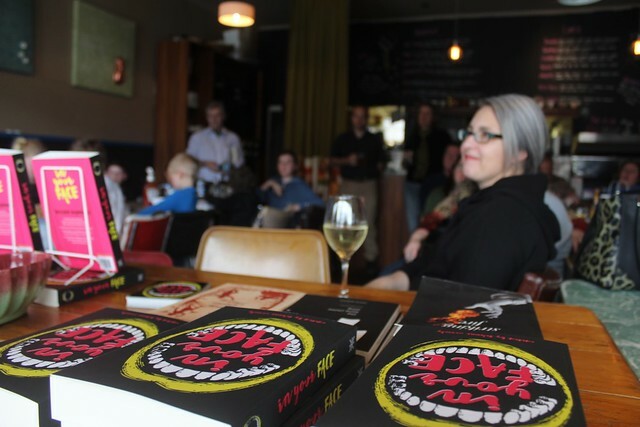 At 3pm on Saturday 17 September, a wild bunch of Canberra speculative fiction lovers (and some ring-ins from interstate) packed out A Bite To Eat in Chifley for the official launch of the confronting, challenging anthology In Your Face. The publisher and several authors took centre stage to talk a bit about the book and their individual stories, and bitey cakes and drinks were enjoyed by all. 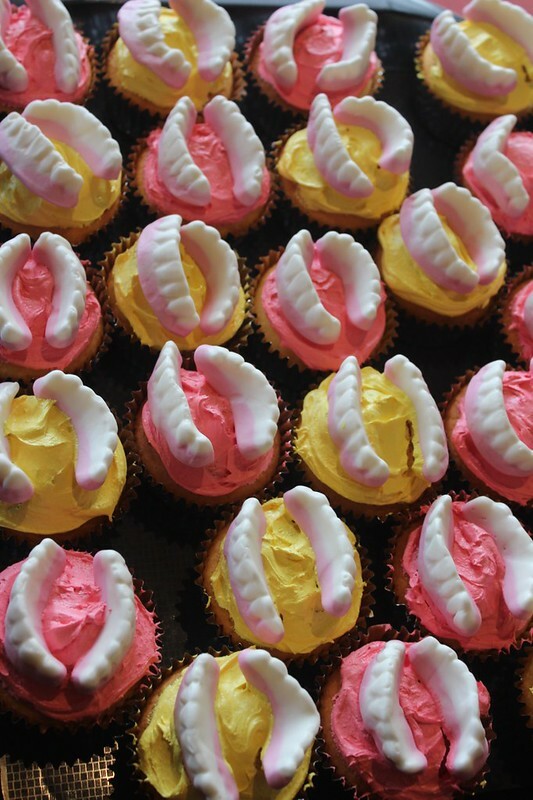 A huge thanks to everyone who participated in the launch – it was loads of fun (if a bit noisy in the venue) and a wonderful way to recognise the hard work of everyone involved. Especial gratitude to Cat Sparks for photographing the event, and as always, to the authors who have permitted me to publish their amazing work, to SpecFaction NSW for the initial seed funding, and to all the Pozible supporters who helped bring the book to life, as well as Amanda Rainey for the dramatic cover, and Elizabeth, Matthew and Katharine for proofing. You’re all awesome and the book could not be what it is without you. This entry was posted in In Your Face and tagged book launch, In Your Face. Bookmark the permalink.